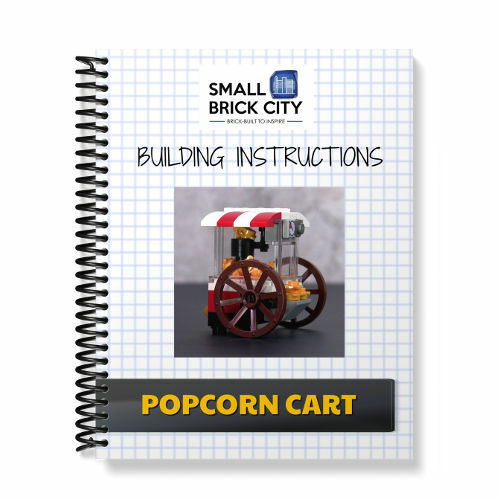 Learn to build this eye-popping LEGO Popcorn Cart MOC designed by Small Brick City with these digital building instructions. 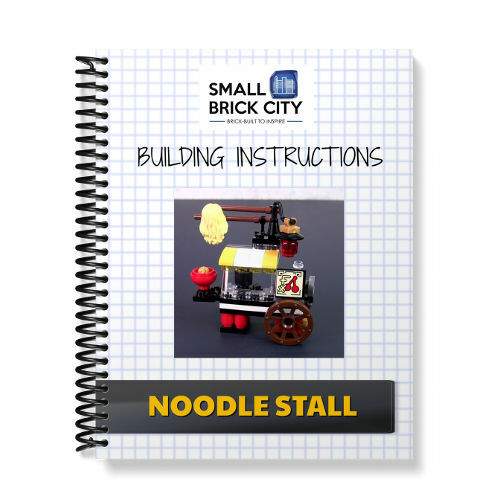 This wonderful snack stall will fit in any custom LEGO city and will be popular with Minifigs in a LEGO carnival, fair, shopping mall, cinema or theatre. This is a very compact build that is realistic and highly detailed. 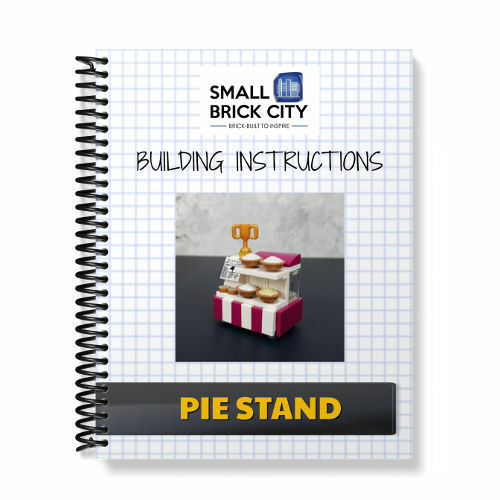 It is very sturdy and it contains many realistic details such as a scoop where the popcorn man can scoop popcorn out of the cart as well as a heat gauge, dial and a pot at the top of the cart where popcorn can “pop” from.